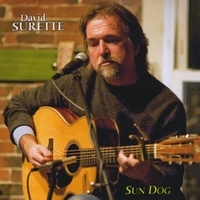 Earlier this year, Work & Worry received a CD from David Surette, a fantastic instrumentalist and songwriter who resides up in Maine. Surette is my kind of picker : equal parts British folk revival, country blues, ragtime and traditional… well, that’s not totally true, his playing at times actually leans a little bit more to the British school than most American fingerpickers, which I guess is what I really love about it! The performances on Sun Dog, all done in a single evening on a single microphone, are absolutely impeccable. 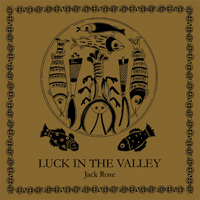 All eight tracks feature clean, confident picking and a finely honed sense of composition, structure and ornamentation. It’s the kind of accomplished, out of nowhere record that is not only a joy to listen to, but makes a guitarist want to up his or her game… from the John Renbourn-esque “A Lot of Sir John” and “Cold Rain” to the feel-good raggin’ blues of “Frog’s Legs” and “Ukelele Stomp”, Sun Dog is easily one of the best guitar recordings I’ve heard in a long time. Surette’s liner notes on the CD do a fine job of describing the inception of these songs, and he also denotes the tunings… so I wanted to talk to Surette more about some of his perspectives on guitars, playing, and some of his influences. W&W : Calling David Surette.. David, are you there? W&W : Very well, how are you? Good, it’s a beautiful day in the neighborhood. W&W : Let’s talk about where you are and where you’ve been. You seem to have extremely strong ties to the music scene up in Maine… have you always lived in that part of the world? Where were you when your interest in guitar first developed, and what did you concentrate on when you were first starting out? Well, I grew up in northern New Hampshire in the mountains, North Conway, which is right on the border with Maine. So I’ve always been a NH/ME kind of guy. I moved down to this area when I was going to college at UNH, from ’81-’85, and ended up sticking around. There’s a good local music scene here, and it’s close to a lot of other great spots, like Boston and Portland. This entry was posted in Articles, Interviews and tagged Acoustic, Airdance, Arborea, Blind Blake, David Surette, Fingerpicking, Fingerstyle, Froggy Bottom, Gary Davis, Guitar, Imaginational Anthem, Jack Rose, James Blackshaw, John Fahey, John Renbourn, Michael Chapman, Pierre Bensusan, Ragtime, Robert Johnson, Sun Dog on July 3, 2011 by Work & Worry. I first became aware of Sam Moss’ playing via Tompkins Square’s Imaginational Anthem Vol. 4. Sam fit right into that album’s Takoma-leaning tracklist, and much of Sam’s music that I’ve heard since has had a pronounced American Primitive approach… his double-thumb, spare melodies and pretty pattern picking not only invoke the music of John Fahey and Peter Lang, but also modern-day interpreters of the genre like Glenn Jones and the late Jack Rose. I recently caught up with Sam to talk about his new release, Eight Constructions. W&W : Talk about how you got started in music, some of your early influences. Most of my early influences came from the music my family listened to. My early memories involve Marvin Gaye, Stevie Ray Vaughan, Mozart and Benny Goodman. My parents are big music appreciators and my grandfather loved big bands. The joy he got from listening to Goodman, Count Basie or Artie Shaw was one of the main reasons that I wanted to play music. He was an artist and he used to have a cymbal in his studio so that he could keep time while blasting his records! I initially wanted to play the clarinet, but I ended up with a violin in my hands. W&W : When did you first start playing acoustic guitar? When I was something like thirteen. I favored electric for a long time, until I got into jazz a few years later. 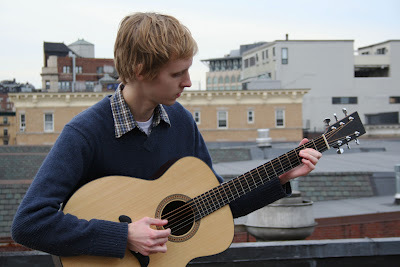 I started exploring the possibilities of solo acoustic playing, fingerstyle, etc, a few years ago. W&W : Please describe your primary guitar, how you got it, how long you’ve had it, etc. This entry was posted in Articles, Interviews and tagged Eight Constructions, Glenn Jones, Jack Rose, John Fahey, Sam Moss, Tompkins Square on February 16, 2011 by Work & Worry. This entry was posted in Reviews and tagged Acoustic, Acoustic Guitar, American Primitive, Boom-chick, DVD, Fingerstyle, Glenn Jones, Jack Rose, Strange Attractors Audio House, Takoma Records, The Things That We Used To Do on May 11, 2010 by Work & Worry. 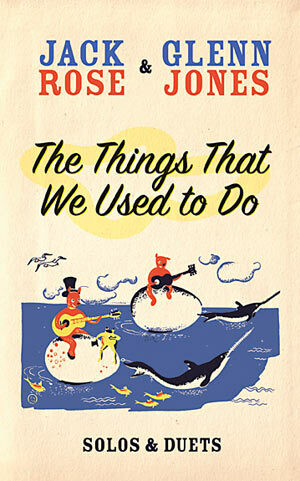 The new long-form trailer for the upcoming DVD, featuring Glenn Jones and the late Jack Rose. Coming April 6th from Strange Attractors Audio House. Look for a review on Work & Worry in the near future! This entry was posted in News and tagged Acoustic, Acoustic Guitar, American Primitive, Boom-chick, DVD, Fingerstyle, Glenn Jones, Jack Rose, Strange Attractors Audio House on February 15, 2010 by Work & Worry. Performing is a musician’s most reliable path to the mastery of technique and ideas. The late Jack Rose constructed his solo guitar repertoire through years of persistent touring to become one of the commanding players of our generation. His 2005 album, Kensington Blues, presented eight selections that would serve as prototypes for his subsequent work, and a guitar vocabulary that was both deep-rooted and deliberately limited. Jack did not dabble, at least in public (he once told me that he played “Blackwaterside” now and then for a kick or as a warm-up). Instead, he continually explored variations of his core ideas. On his ultimate album, Luck In The Valley, he works primarily in ensemble with a cast that includes Glenn Jones, The Black Twig Pickers, Harmonica Dan and Hans Chew. 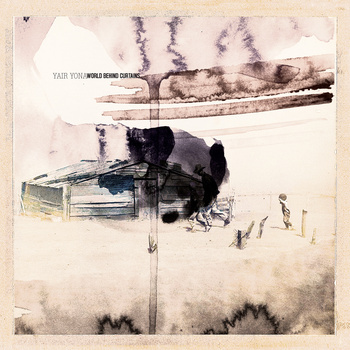 “Tree In The Valley,” from the latter half of the album, is the second rāga-style work and one of only two solos, played in the manner of Robbie Bãsho’s “A North American Raga (The Plumstar)” (from 1971’s Song Of The Stallion LP) and Jack’s own “Cross the North Fork” (originally from Kensington Blues, with alternate takes on Tompkins Square’s Imaginational Anthem Volume 2 compilation of 2006 and also The Black Dirt Sessions). What I think Rose brings to this type of guitar playing that most others have not is an unwavering sense of resolve: there is never a moment’s hesitation, never a loss of direction. He also brings near-flawless execution, and so absent are the missed and bum notes that could jar the listener from reverie. While Kensington Blues will likely endure as Jack’s signature work, Luck In The Valley, his best since, is a worthy, multifaceted companion. This entry was posted in Reviews and tagged Acoustic, Acoustic Guitar, American Primitive, Boom-chick, Fingerstyle, Folk, Glenn Jones, Guitar, Hans Chew, Harmonica Dan, Jack Rose, Luck In The Valley, The Black Twig Pickers, Thrill Jockey, Tompkins Square on February 4, 2010 by Work & Worry.